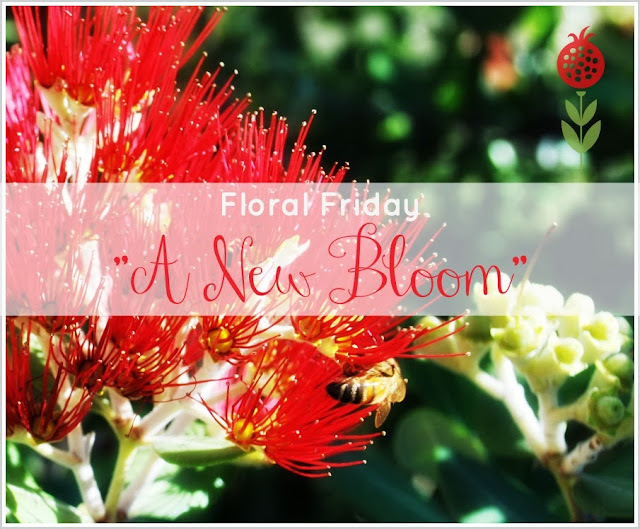 A Little Bit of Quiet: Floral Friday - "A New Bloom"
Before I get into today's post ... HAPPY NEW YEAR, everyone, and welcome to my very first post for 2014. I hope you all had a rockingly fabulous year and that this year brings more of the same. Today's post is very apt, actually, being that's it's about "new" blooms and "new" beginnings - what a perfect start to the NEW year! About a month ago I was asked by the very lovely Trishie from Under Lock & Key if I would be interested in participating in a new monthly photographic series called "Floral Fridays" where I would photograph something floral with a specific theme set by Trishie. I wasn't sure at first if it was the right fit for my blog but then about two seconds after I had that thought I realised I had photographed and talked about flowers on my FB page at least four times that month alone. I was in. 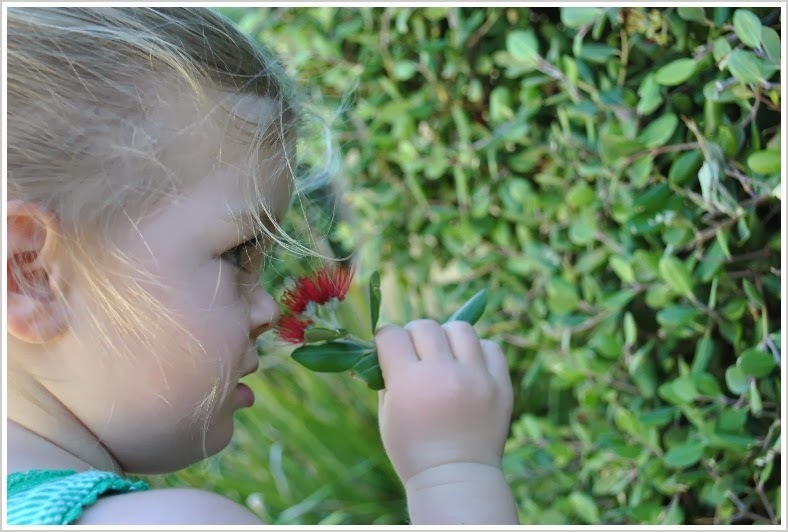 Afterall, who doesn't love a great flower and how many of us actually take the time to stop and "smell the roses"? It was a fabulous idea - yes, I was up for Trishie's wonderfully floral challenge. I would head out each month on a mission to find the requested flower, to photograph it, to talk about it and to report back here with my findings. It sounds fun, don't you think? And the best thing? It will force me to get outside, in the fresh summer air, almost-3-year-old daughter in tow and discover new and pretty things that look and smell fabulous. Why wouldn't I want to do this? The butterfly was the perfect model! What was I doing when I found it? Looking for something with a "new bloom"! It will always remind me of this house, the one we have just sold. The one we built over 10 years ago and the one where both our kids were born. The first house we ever owned/built together. Joyful when the flowers are blossoming. Joyful and proud when it is hedged to perfection! No - although my daughter's answer was "bootiful" (see the pic below that melts my heart). In the South Pacific. They are especially important in New Zealand where several varieties yield rata - the hard, dark red timber prized by Maoris for sculpture. So, there you have it. My first Floral Friday challenge completed. It was alot of fun and I'm looking forward to whatever challenge Trishie has instore for us next month! I might even be forced to buy a Peony or two ... purely in the name of study, you understand! And please do take a moment to check out the links below to see what the other lovely bloggers in this series had to say about their "new bloom". These pictures are just gorgeous, Nikki! I'm so glad you are playing along. Love that shot with the butterfly. Some great shots there Nik. Especially the 2nd and third. those are stunning looking! i'm coming by way of the blog hop! happy new year to you! such pretty photos and I love the shots with the butterfly too! Amazing shot with the butterfly! loved hearing about all your information on the New Zealand Christmas Tree too. Nikki, your little girl is just like a new bloom too - she is precious! Your 'Crimson Glory' photos are amazing! I love the pretty pohutakawa flowers and they make such a gorgeous show on the coastline where I live. The photo is really sweet of your cute daughter. I loved learning about the New Zealand Christmas Tree! What a beauty!